BATON ROUGE, La. (AP) — The U.S. Justice Department opened a civil rights investigation Wednesday into the videotaped police killing of a black man who authorities say had a gun as he wrestled with officers on the pavement outside a convenience store. 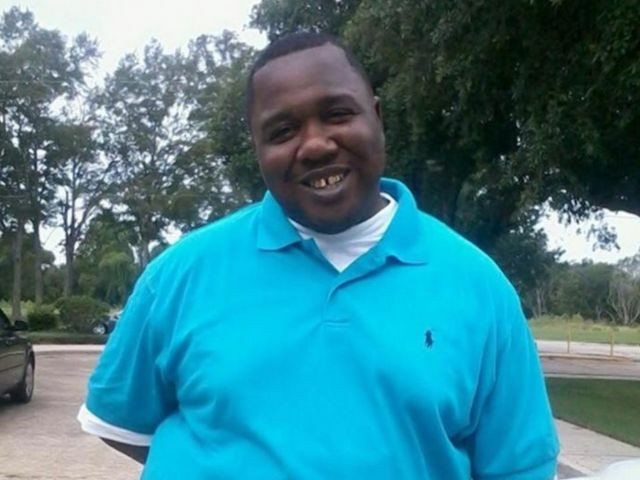 Alton Sterling, 37, was confronted by police on Tuesday after an anonymous caller said he had threatened someone with a gun outside the store where he was selling homemade CDs, authorities said. In a cellphone video taken by a community activist and posted online, two officers had Sterling pinned to the ground, and gunfire erupted moments after someone yelled, "He's got a gun! Gun!" At a news conference Wednesday, Baton Rouge Police Chief Carl Dabadie Jr. said that Sterling was in fact armed but that there are still questions about what happened. "Like you, there is a lot that we do not understand. And at this point, like you, I am demanding answers," Dababie said, calling the shooting a tragedy. The chief did not disclose the race of the two officers, who have been placed on administrative leave, standard department procedure. Gov. John Bel Edwards and the U.S. Justice Department announced that its civil rights division would lead the investigation. "I have very serious concerns. The video is disturbing, to say the least," Edwards said. The shooting fueled anger and protests in Baton Rouge, with community leaders and Sterling's family demanding a federal investigation and the firing of the police chief. "Mr. Sterling was not reaching for a weapon. He looks like a man that was actually fighting for his life," said state Rep. Edmond Jordan, an attorney for Sterling's family. In Washington, Justice Department spokesman David Jacobs said the FBI and the U.S. attorney's office in Louisiana will also take part in the investigation. The Justice Department investigation will look into whether the officers willfully violated Sterling's civil rights through the use of unreasonable or excessive force. Similar investigations, which often take many months, were opened following the deaths of Michael Brown in Ferguson, Missouri, and Eric Garner in New York. Federal investigators must meet a high legal burden to bring a civil rights prosecution, establishing that an officer knowingly used unreasonable force under the circumstances and did not simply make a mistake or use poor judgment. Many federal probes conclude without criminal charges. Quinyetta McMillon, the mother of Sterling's teenage son, trembled as she read a statement outside City Hall, where a few dozen protesters and community leaders had gathered. Her son, Cameron, 15, broke down in tears and was led away as his mother spoke. She described Sterling as "a man who simply tried to earn a living to take care of his children. "The individuals involved in his murder took away a man with children who depended upon their daddy on a daily basis," she said. Jordan said police confiscated the store's video surveillance system, but he said the store owner is confident the video shows the entire confrontation and shooting. He said the cellphone video that was posted online "certainly speaks for itself." "It's a horrible thing. It's a horrible thing to happen to him," said Sterling's aunt, Sandra Sterling. "He didn't deserve that." The cellphone video prompted hundreds to protest Tuesday night. In the video, which appears to be shot from inside a nearby parked car, one of two police officers outside the store can be seen tackling a man in a red shirt and wrestling him to the ground. Then the other officer helps hold the man down. At one point someone can be heard saying, "He's got a gun! Gun!" and then one officer on top of the man can be seen pulling his weapon from his holster. After some shouting, what sounds like a gunshot can be heard and the camera pulls away. Then four more shots can be heard. At one point, a person in the vehicle asks, "They shot him?" as a woman can be heard crying. At the Wednesday news conference, the head of the NAACP in Baton Rouge called for the police chief to be fired. "He must step down. We cannot have anybody who allows this type of action to take place," Michael McClanahan said. State Rep. Denise Marcelle of Baton Rouge, who has been at the forefront of the protests, said the chief told her that body cameras fell off both officers during their "tussle" with Sterling. But Marcelle said she saw no evidence of that on the video. When a pastor told the small crowd gathered that the protest would be peaceful, 45-year-old protester Sharon Alexander, her voice cracking, countered: "We don't need peace. We need answers; we need justice." Alexander, who was there with her daughter and three other relatives, said later: "We sound like a broken record. It's time for a change." By dawn Wednesday, protesters and friends had created a makeshift memorial to Sterling on the white folding tables and folding chair he had used to sell homemade music compilations on CDs. "He never bothered nobody. He was just trying to make an honest dollar," said Arthur Baines, who came by to pay his respects. Mufleh Alatiyat, a 25-year old employee of the store, said Sterling he often gave away CDs or petty cash or bought food or drink for some people. "He was a very nice guy," he said. "He helped a lot of people." The man who claimed to have shot the cellphone video, Arthur Reed, said he has been distributing it online to help Sterling's relatives get their message out. Reed said his company, Stop the Killing Inc., shoots documentary-style videos about killings in Baton Rouge.